Over the past year Trump supporters have been attacked, beaten, spit on and more at rallies by Antifa. Now they have a new member. Almost VP Tim Kaine’s son is in Antifa. Antifa has increased their violence in recent years. A Patriot Prayer group was set to unite, but due to imminent attacks from Antifa they canclled their rally. Some of the group still showed up and Antifa showed up to riot. 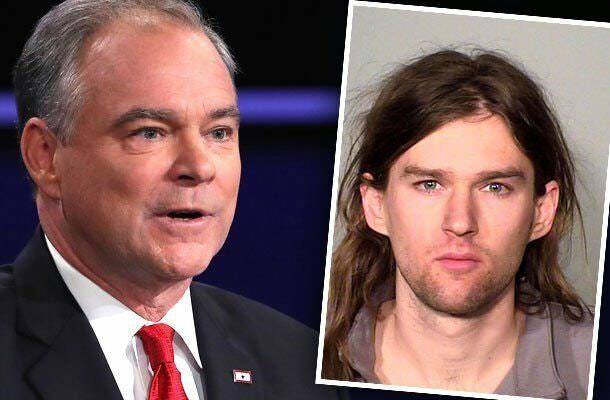 Linewood “Woody” Kaine is the youngest son of vice presidential candidate Tim Kaine. In March at the Minnesota State Capitol, Linwood was arrested for rioting at a pro-Trump rally. Woody Kane is an official member of a domestic terrorist group. The FBI officially declared Antifa a domestic terrorist group. This was uncovered by The Donald subreddit.